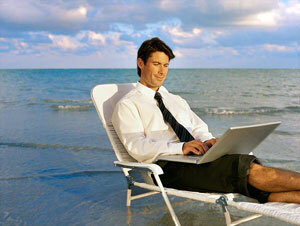 Wish you could work from here? Our website solutions allow you to access your backoffice and manage your organization from anywhere there’s an Internet connection. Imagine the possibilities! Looking for an Affordable, Professionally Designed E-Commerce Solution? Now you can have a fully customized professionally designed website in a few days. Yes, in just a few days you can have one of the most complete websites on the Internet. No delays, no hassles, and no development headaches. Your satisfaction is guaranteed! Your website will be built on the PortalProdigy platform, a complete content management system that allows you to maintain your website yourself. There is no software to install. All you need is a web browser. You will manage your website using simple data entry screens. Your website will also include a complete online Backoffice to manage your business from anywhere you have an Internet connection. Your website will include tons of functionality. Check out everything you get! Online Product Catalog – Professionally designed catalog with advanced shopping features. Secure Shopping Cart – Customers never leave your website with an integrated shopping cart and checkout process. Secure Payment Processing - Accept All Major Credit Cards. Online Quote Requests – Customers can submit detailed quote requests online. Managing, pricing and tracking quotes, has never been easier! Customer Order Tracking – Customers can conveniently track their orders and shipping status online, view order history, and easily update their contact information. Payment Terms – Easily configure credit terms for specific customers. You can even accept and approve credit applications online. Email Marketing – Increase sales with email promotions. Generate repeat business by staying in touch with your customers. Order Management and Fulfillment Processing – Easily access and manage your orders online. Online Help Desk – Customers can view your knowledgebase, submit service requests, and track their status online. Content Manager – Make instant updates. Easily manage all your website content online using simple data entry screens. Custom Website Design – Completely customizable design including your logo and branding. Job Center – advertise jobs with automated feeds to job aggregator websites like Google, Indeed.com and SimplyHired.com to promote your job opportunities. Accept online applications, track and manage candidates and their resumes. Search Engine Optimization and Tracking – Drive more traffic to your website. Easily monitor your results. Website Search – Customers can easily search for products, information and anything else on your website. Event and Class Calendar with Online Registration – Promote, register, accept payment, and manage all of your events online. Great for training centers, seminars, conferences and more. Surveys – Involve customers on your website. Get instant feedback about your products and services.